One in every 5 Americans has a disability. That is over 60 million individuals throughout the United States. As part of their ongoing struggle, many individuals with disabilities cannot leave their homes to work, or they need special accommodations in order to participate in the workforce. The services NTI provides allow individuals with disabilities to join the workforce once again and positively impact organizations across the country. Spread the word and make a change. Distribute the PSAs below recorded by Country Singer, Craig Campbell. 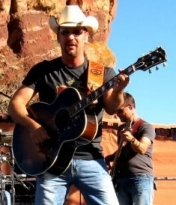 Rising country music star Craig Campbell is an avid supporter of NTI’s (NTICentral.org) mission to help Americans with Disabilities and Disabled Veterans return to the workforce. Campbell took time out of his busy touring schedule to record several PSAs for NTI. The PSAs are designed to increase public awareness of NTI's services. Campbell’s passion shines clearly through his music, his performances on stage, and his songwriting. Now, Campbell is sharing his passion and spirit with NTI as he helps spread the word about NTI's ability to help disabled Americans gain freedom and independence through employment. The following Public Service Announcements are messages from Craig Campbell with music from "Outskirts of Heaven" accompanying it. Campaign: Who Next to You Has a Disability?